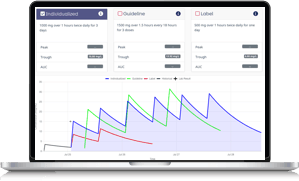 Integrated into Epic® using SMART® and FHIR® technologies, DoseMeRx delivers simple and easy-to-use precision dosing software never before available in the EHR. Clinically proven to significantly improve dosing accuracy and patient outcomes by helping clinicians safely reach therapeutic concentrations quicker for numerous antibiotics including vancomycin and the aminoglycosides, as well as immunosuppressants, chemotherapeutic agents, and many more. Drug monitoring no longer needs to be laborious or trial and error. 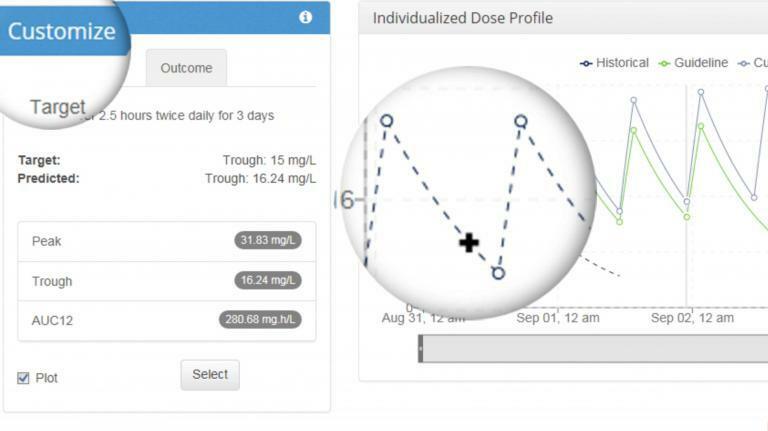 In just three clicks, you can accurately calculate an individualized dose modelled on your patient’s PK-PD from as-little-as one assay to reach your therapeutic target quicker. 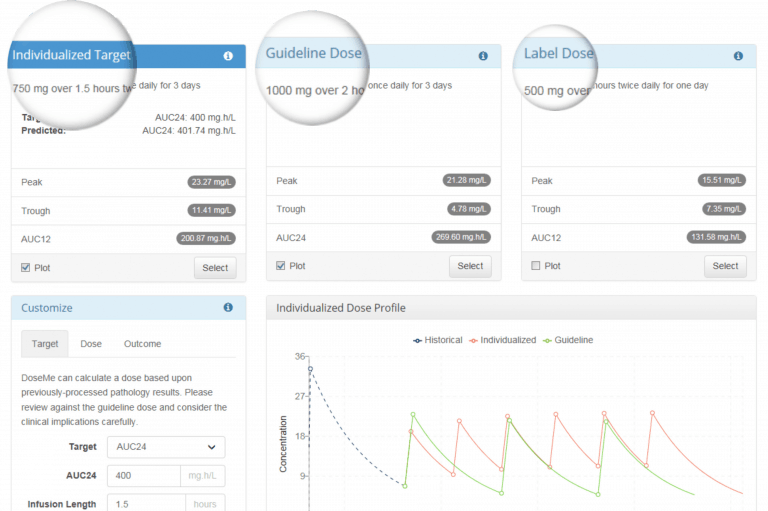 Quickly and easily calculate an individualized dose to a range of therapeutic targets, including AUC, Peak-Trough and Time in Range and compare this to your hospital guidelines and label recommendations to optimize decision making and standardize care at your hospital. Precision dosing may seem almost magical, given all the clinical and economic benefits. Luckily, DoseMeRx makes it simple to gain all these benefits with plug and play technology in your Epic EHR. 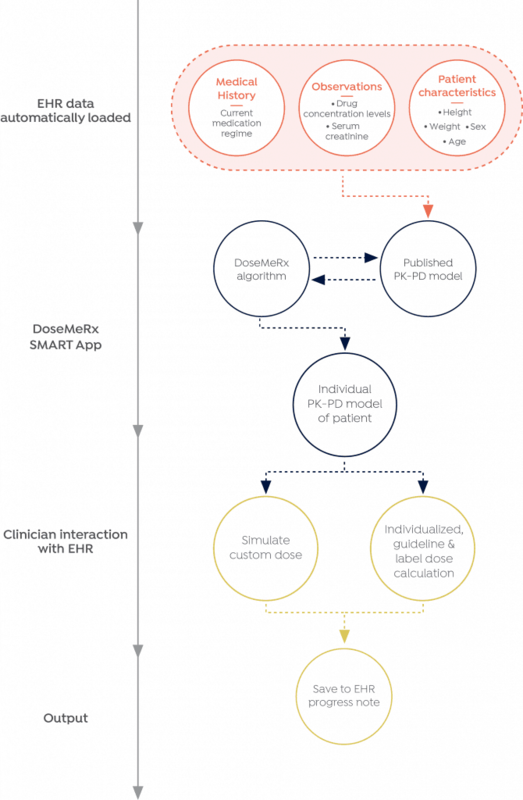 Using SMART and FHIR technologies, DoseMeRx extracts patient demographics, dose administered, renal function and previous response to therapy. Leveraging clinically validated pharmacokinetic drug models, DoseMeRx models how each patient is responding to therapy from as-little-as one assay. This takes into account individual variability in genes, environment and lifestyle to accurately calculate an individualized dose to reach a therapeutic target. FHIR® is a registered trademark of Health Level Seven International.